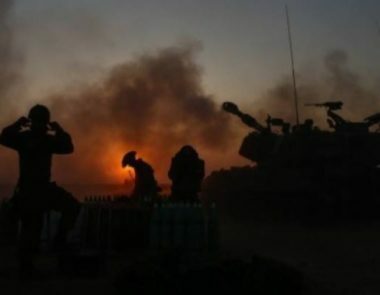 Israeli soldiers fired, on Wednesday at night, several artillery shells into Palestinian areas, east of Khan Younis, in the southern part of the Gaza Strip. The WAFA Palestinian News Agency has reported that the soldiers, stationed in a military base across the perimeter fence, fired many tank shells into the farmlands, causing damage. In addition, the soldiers fired three artillery shells into two security centers, east of the al-Fakhari town, east of Khan Younis, casing damage. The soldiers also fired a burst of live rounds into the center, while military jets flew overhead. Israeli sources said the shelling was carried out after “a shell was firing from Gaza into southern Israel,” causing no damage or injuries. The developments came after a Palestinian detainee, identified as Fares Baroud, 51, from Gaza, died at an Israeli prison due to ongoing medical neglect by the Israeli Authorities. Baroud, the longest serving detainee from the Gaza Strip, was taken prisoner by the army 28 years ago.